Yo Joe! Join the ranks of G.I. Joe for a mission 45 years in the making! G.I. Joe: The Rise of Cobra picks up where the live-action film ends and draws from over four decades of rich G.I. Joe history to create an all-new action-packed story. Join the G.I. 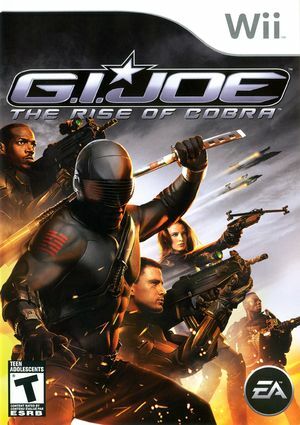 Joe forces as you assemble a hand-picked team of combat-hungry heroes and stop a deadly Cobra plot. Choose from 16 playable characters, including Commandos who excel in close-range combat, Heavys who can't miss from long range, and Combat Soldiers good at both. Use high-tech weapons like the Accelerator Suit, find hidden intelligence, and more in an unforgettable Joe adventure. The graph below charts the compatibility with G. I. Joe: The Rise of Cobra since Dolphin's 2.0 release, listing revisions only where a compatibility change occurred.